One of my favorite things about going “home” to Fallbrook is getting to visit some of my favorite restaurants on the planet! Can’t you just taste those yellow raisins, and the cheese, and all those little seeds? 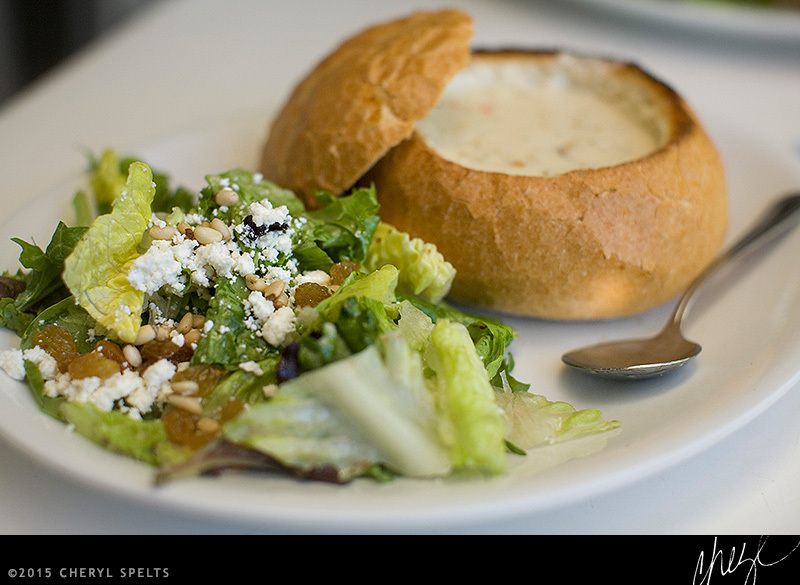 Fallbrook does salad like nowhere else I know of… And the clam chowder? I could eat it everyday, happily. It was great to share lunch at Garden Center Cafe with one of my very favorite people, Julie Reeder. And I also got to see my old friend Camereno! We worked together at Main Street Cafe, twenty years ago!